Not really a new unit, but now I brought it on the size, I wanted. I painted one base this week (the stand with the flag). The flag is from Xenophon-HP and as always for These austrians an austrian flag with a design of the reign under Charles VI.. This unit should represent a bat. with a coy of grenadiers of the regiment Prié. 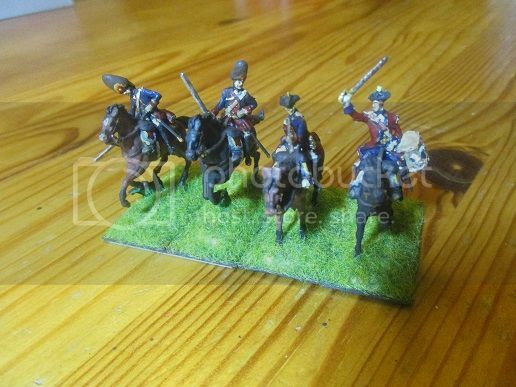 Some of the figures have the blue Breeches. I like this light blue. I finished now my Regiment Lanthieri. 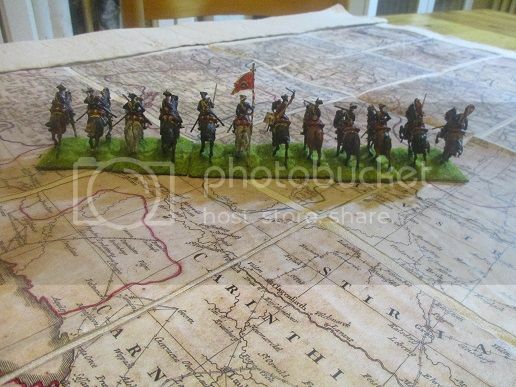 A very nice selection of figures, thanks for sharing. Very good. I like the variety of action poses. My last bn. 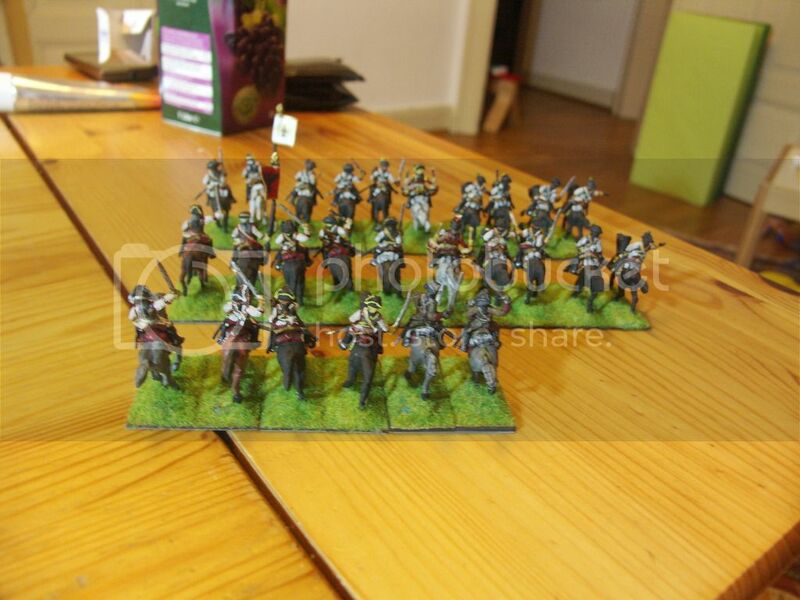 of austrian regular infantry for the next months. Regiment Wurmbrand (or better to say: one bn. of this regiment plus a coy of grenadiers). This Regiment served first in Germany and later in the low countries, although I don't know any special battle honours... But Morier painted a grenadier of this regiment which is fine. 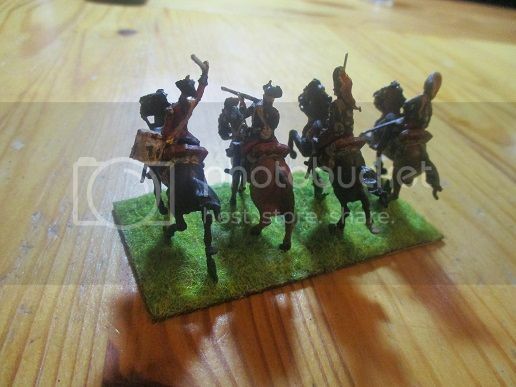 Very attractive positioning of the figures on the bases. 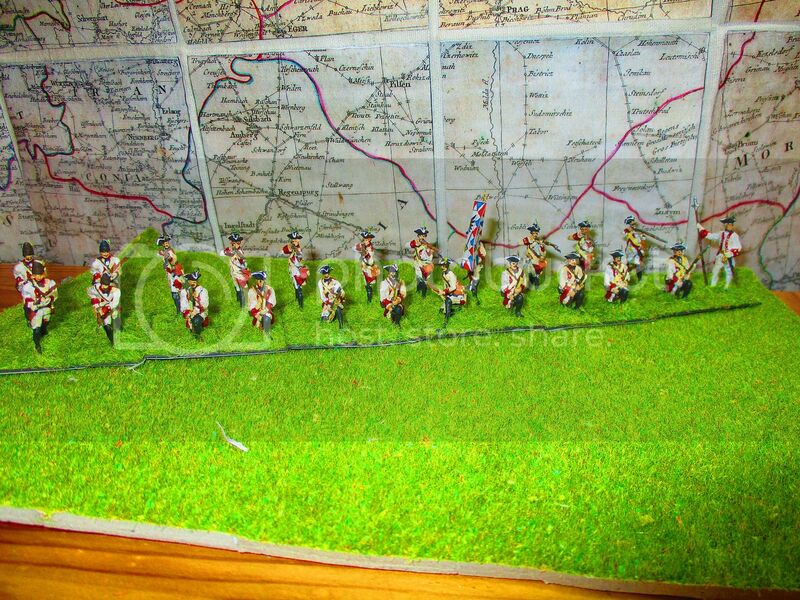 The enemy having been halted by the fusiliers' volley, the grenadiers rush to the attack. Very nicely done, I really must get around to painting my 20mm plastic figures. 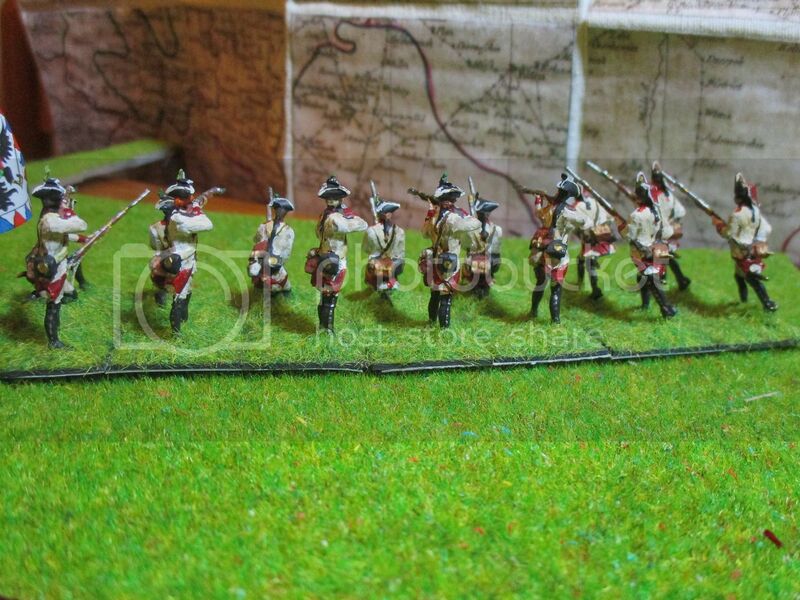 There are only advancing and attacking grenadiers in the Revell-Sets. 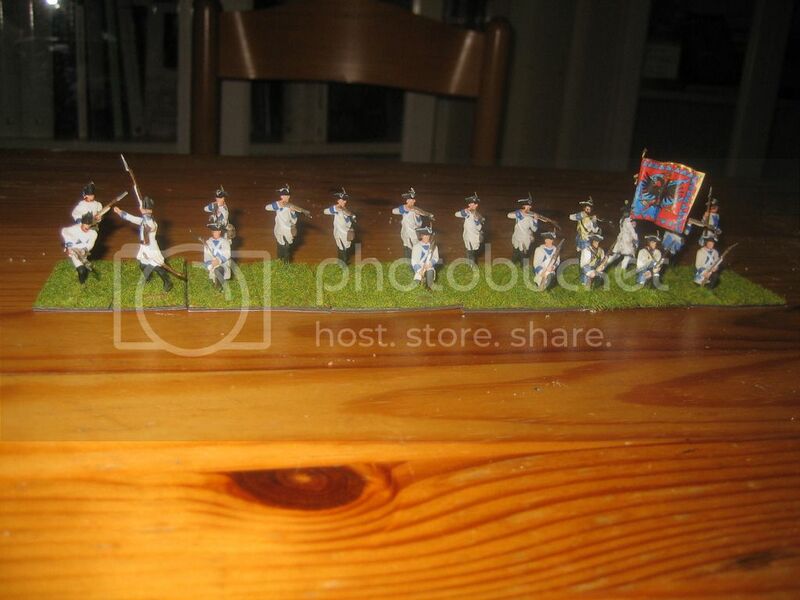 During the battles I will form ad hoc batallions with these grenadier companies available. 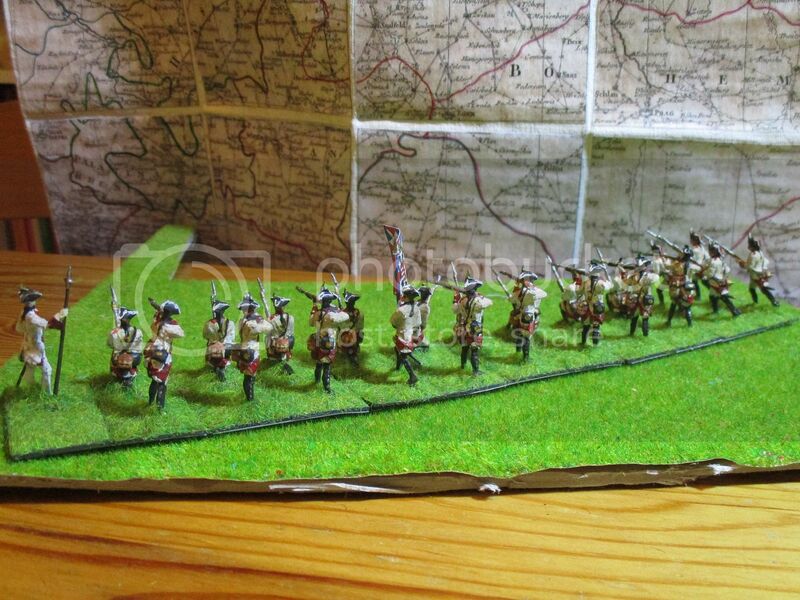 So I will have some firing lines of fusiliers and advancing and storming units of grenadiers. That's fine because grenadiers had often the honour to storm a village or the walls of a fortress etc.. The grenadiers are conversions with knife and greenstuff. The uniforms are interpretations following Morier's painting and Gudenus' drawings from 1748 and 1734. I think that maybe some old equipment was in use in these days full of troubles. 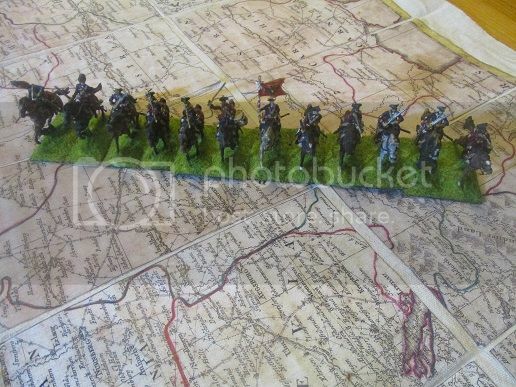 Maybe I will add 5 more stands (representig 3 sqn.s) in 6 months because I will start soon my hanoverian project. Goodness me, HO plastics haven't half improved since I used them in the 60s and 70s. Lovely painting again. I think it's a question what the collectors wish. Which expectation they have from figures. 1/72 is the scale for dioramas. 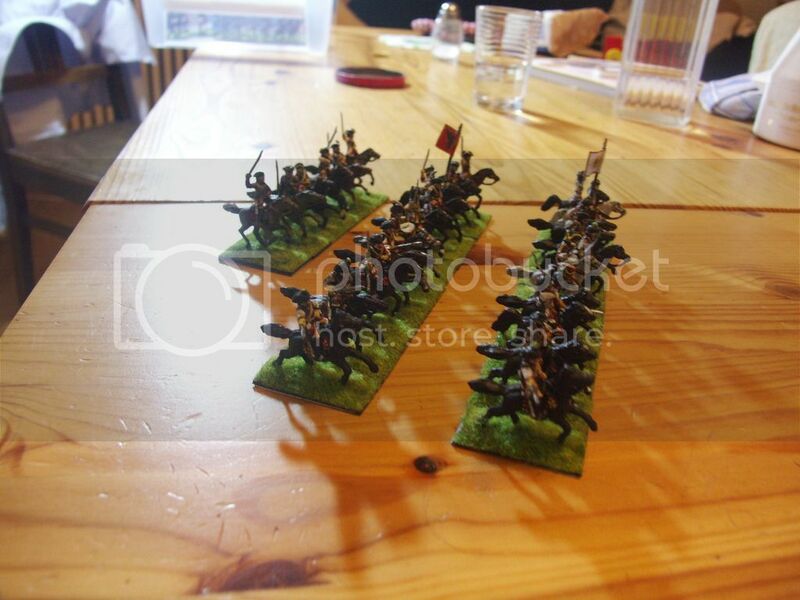 Although some manufacturers learned that the wargamers are a market too. But the style of most leading manufacturers is somehow natural. 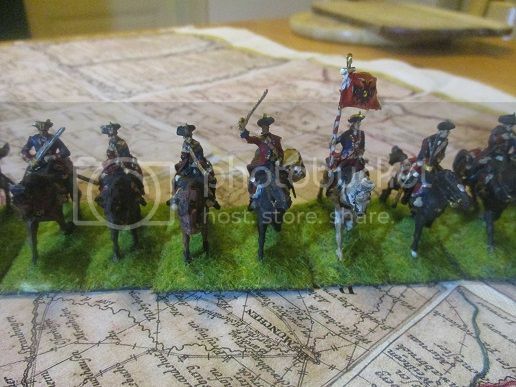 For the tabletop it's perhaps better to have figures with large hats and flags. That's maybe the reason for improvement or not. The 1/72 companies very often want to become more and more realistic. 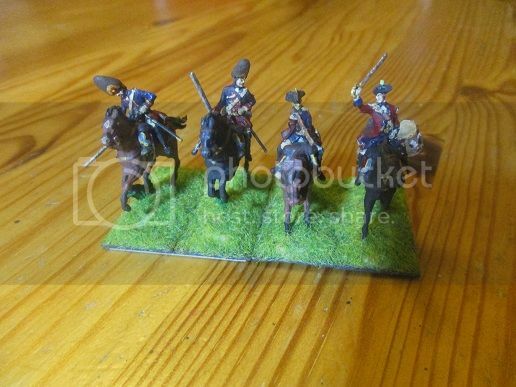 These Revell-dragoons are very old school. Details are not clear in some areas. Therefore you must be carefull when you paint the basecoat. 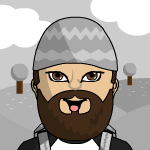 Here are my "Trenck'sche Panduren". Made of Grenzer from Germania-figuren. 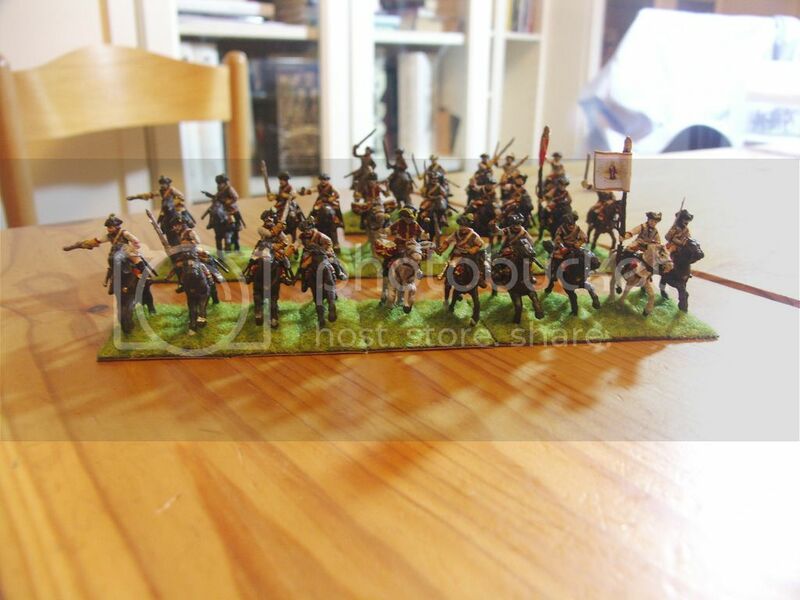 This is the first of my two light small units of austrians. As very often following the paintings of David Morier.